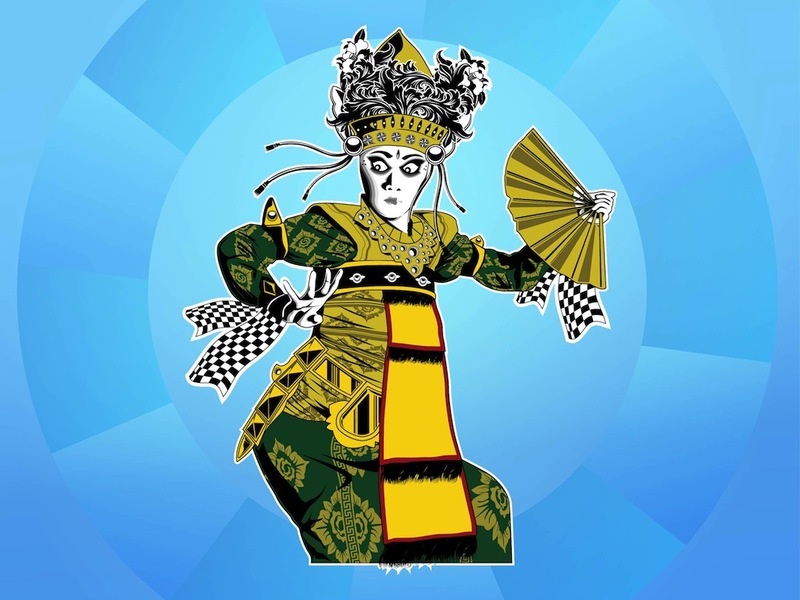 Vector footage of a traditional Balinese dancer. Woman with a surprised expression and wide-open eyes wearing typical dancing outfit. Long dress with many decorations and different fabric patterns, big headpiece with flowers, pale skin and strong make up. Open fan and waving strips of fabric on the hands. Tags: Accessories, Balinese, Costume, Dance, Girl, Tradition, Woman.